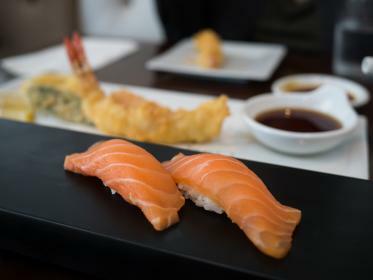 The Food Standards Agency has announced that certain farmed fish destined to be eaten raw in dishes like sushi and sashimi no longer need to be frozen before use to protect consumers against parasites. Fish parasites are mainly a problem in certain species of wild fish and can cause illness in humans if eaten. All fishery products must be inspected to remove visible parasites before being sold. Cooking will kill them, but freezing kills any parasites that may remain undetected in fish products intended to be consumed raw or almost raw. After research commissioned by the Food Standards Agency in Scotland showed there is a negligible risk of parasites from farmed salmon, the European Food Safety Authority (EFSA) reviewed the available evidence on the presence of parasites in wild and farmed fish. Following the EFSA review, the European Commission and member states reviewed the hygiene legislation and agreed requirements in December 2011, which allow a risk-based approach to be taken when applying the freezing requirements for fishery products.